Have fun while learning the ins and outs of knotting on silk and using beadtips. This is a versatile technique that you can use with any kind of beads. This class is appropriate for beginners and others. 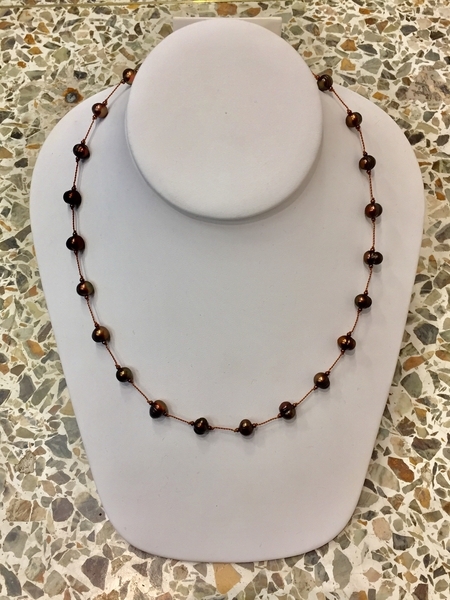 Leave with a finished 18" freshwater pearl floating bead necklace. Please sign up in advance to save your spot and help us prepare for the class. Maximum 6 students per class.